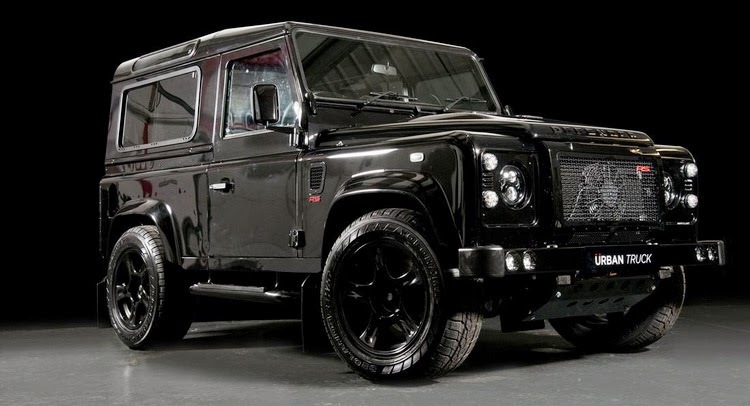 British manufacturer Land Rover has recently made the concept of Land Rover Defender Urban Truck Ultimate RS which at first glance looks like a Mercedes-Benz Jeep in terms of models, but it's more cool, with a large capacity engine. As reported of Carscoops on December 7, 2015, Urban Truck Ultimate RS uses a V8 GM engine with a capacity of 6.2 liter that originally powered only 430 hp increased to 500 hp, and torque reaches 540 Nm. Added also a six-speed electronic gear selector. 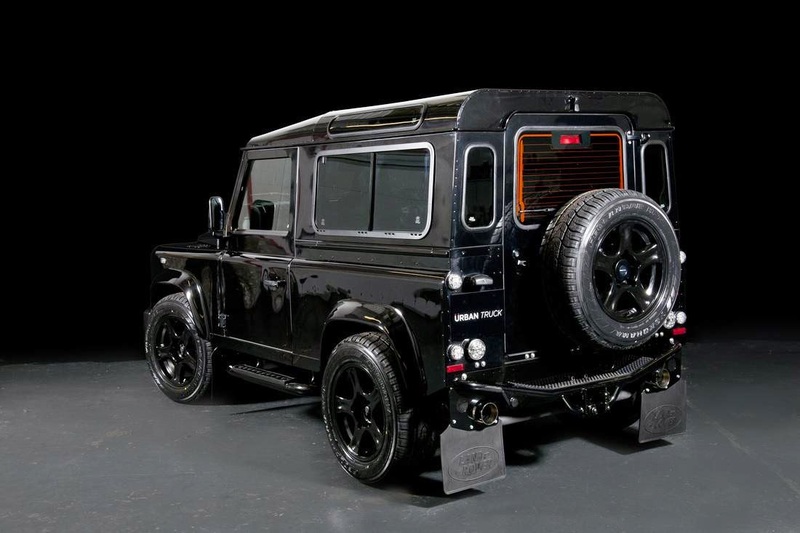 Looking at the outside, you would admire all exterior covered in black, in a custom front grille, and parts of ventilation using carbon fiber, with the Defender 2 inches special roll bar. 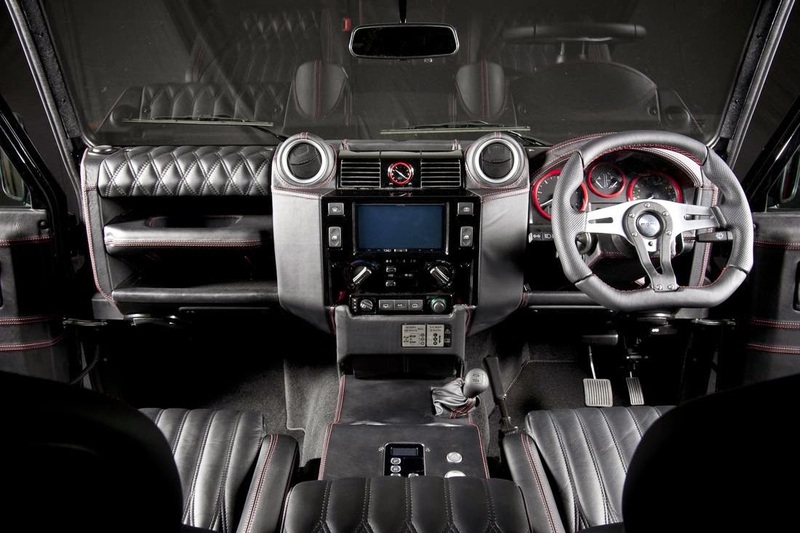 The interior, there ars available Alphine Satnav system with subwoofer, also heated Recaro Sportster seats wrapped in Nappa leather (which you can also find on the dashboard, steering wheel and steering column).